I am totally doing this to taunt you. That’s how I roll. Last week, Dr Jeff (fellow blogger and also a super-commuter – as in, his morning commute is Gateway to Hillsboro TC on MAX, then a transfer to the 57 to Forest Grove) encountered the all-too-familiar situation where he sprinted to a train at Gateway and hit the yellow door button, only to watch the train pull out of the platform without him. 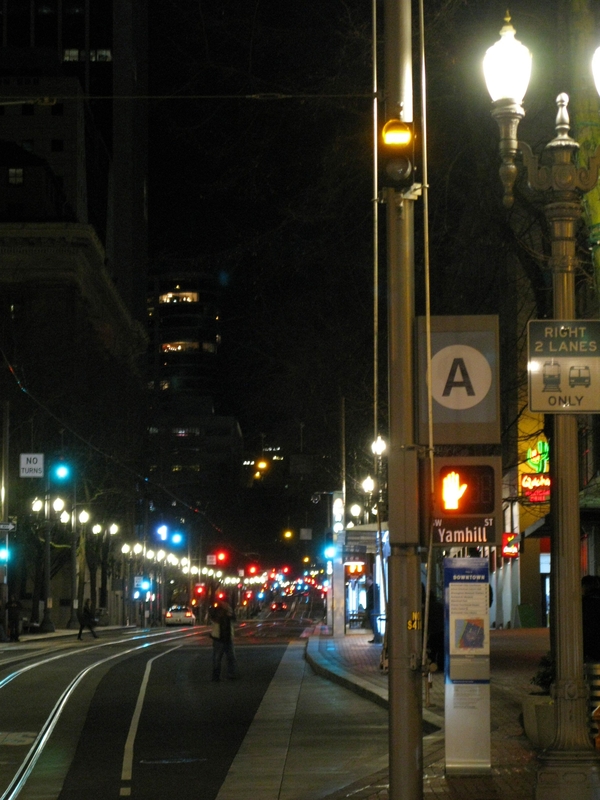 He blogged in a rather entertaining fashion about what happened, including the ensuing Twitter exchanges with TriMet. And of course, me being me, I admittedly winced at the role played by the door buttons. Actually, when I die, someone needs to make sure that goes on my tombstone: “Fought the uphill battle of explaining how the MAX door buttons work” All joking aside though, it sounds like everything in this situation worked the way it should have, including the actions of the operator, even though that meant Dr Jeff missed his train. Question: Why don’t trains wait? I’ve previously written about why trains on the mall won’t wait for you (short version – the pre-empts cascade which will delay buses if a train does not go when its signal is up). There are also other areas of the alignment where tight schedule timing means you really can’t expect a train to wait for you, and Gateway is one of them, especially during rush hour. Those “Blue Line to Gateway TC” trains listed in the above schedule are actually Green Line trains that are coming into Gateway from Ruby. 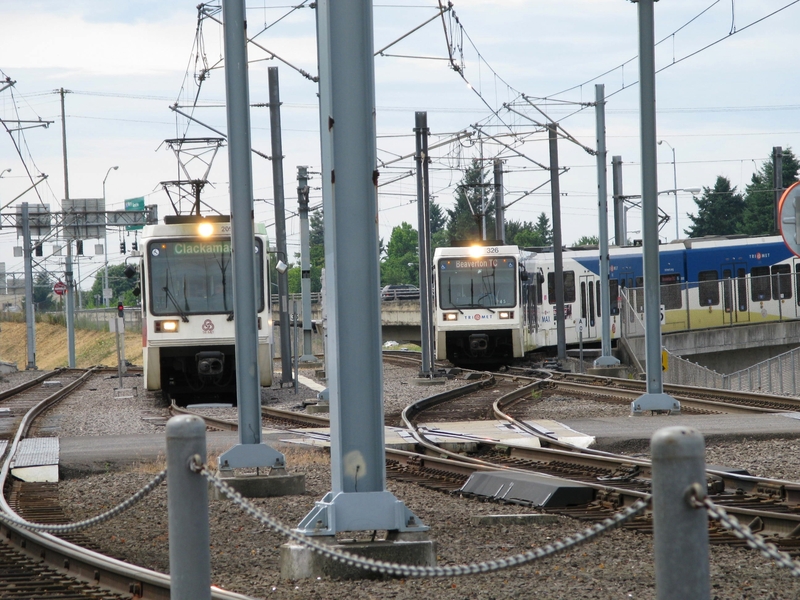 They go up the auxiliary track into the pocket track, swap cabs, and then go out to Clackamas. 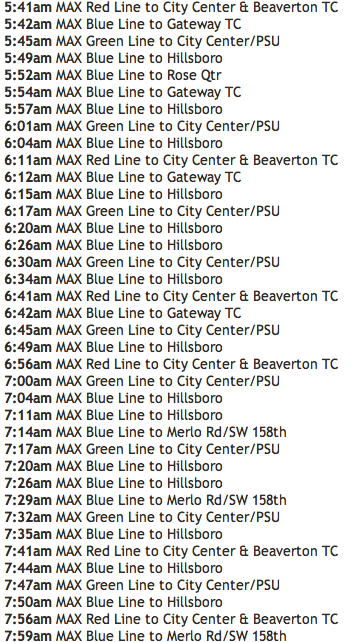 I’m not positive which train Dr Jeff tried to get on, but based on the time I am guessing it was 43, which is one that comes into Gateway from the airport as a Blue Line to Hillsboro in the morning. If that’s the case, then that train would’ve come up into the pocket track at Gateway, rather than the westbound mainline. Gateway Review: The pocket track is the red one in the middle used (mainly) by westbound Red Line trains. If the train he wanted was in the pocket track, that could be one explanation why it didn’t wait. 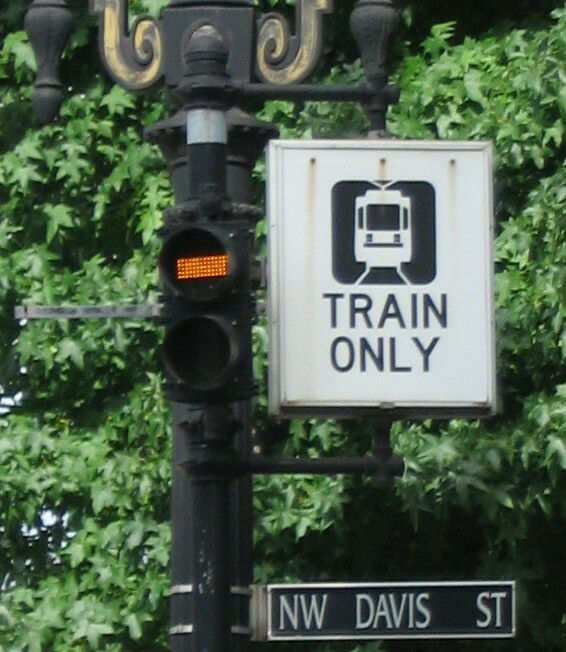 Trains in the westbound mainline track use signal 72, and that signal does not time out. In other words, I can come into Gateway in the westbound main track, call my signal and sit there, and it will stay permissive for me. However, trains in the pocket track use signal 74, which *will* time out after 90 seconds. So if I come into the pocket track, call my signal and get a green or yellow, but then sit there, after 90 seconds it’ll time out and go back to a red. Granted I wasn’t there and I don’t know all the circumstances surrounding Dr Jeff’s train leaving that morning, but I’m just throwing it out there that it’s a possibility that if his train was westbound in the pocket track, they did not have time to wait for late runners if they had a permissive aspect on signal 74 because it times out. And given how many trains are moving through Gateway at that hour, waiting to recall it can mess up the schedules of a lot of other trains. Gateway isn’t the only part of the alignment that can be a time sink if trains aren’t running on schedule. 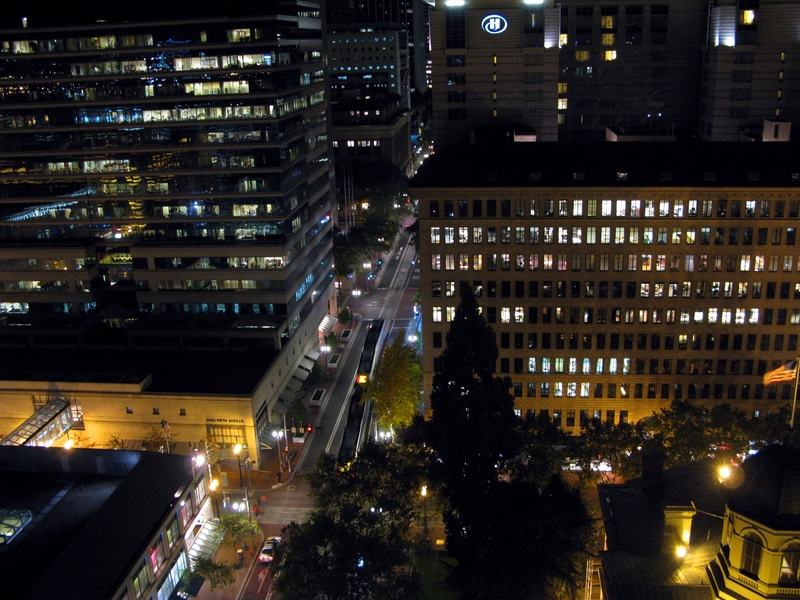 Rose Quarter is another place where you can be locked out by a train making a conflicting move. 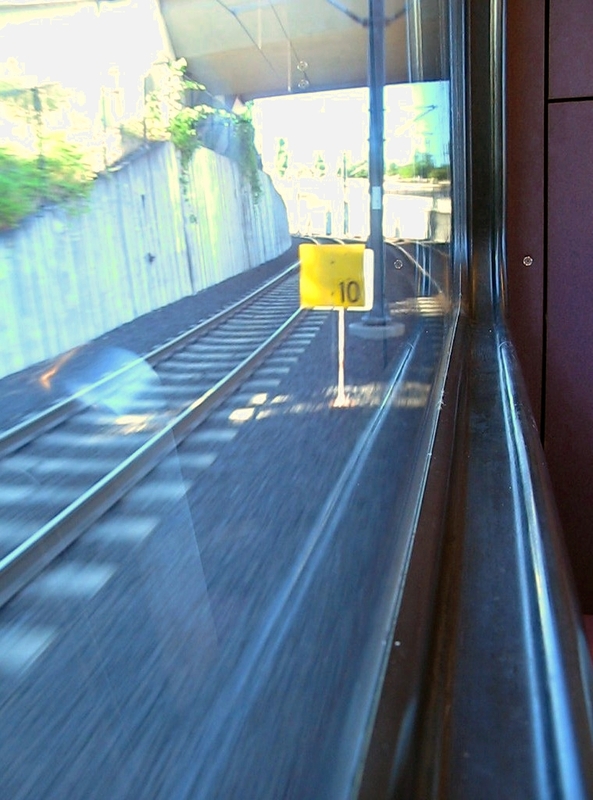 At Rose Quarter, Yellow Line trains can only make parallel moves with other Yellow Line trains (this is a conflicting move for everyone else) so if a Red, Blue, or Green westbound train gets to Rose Quarter off-schedule, they may have to wait for a Yellow Line to finish going through the interlocking before them. 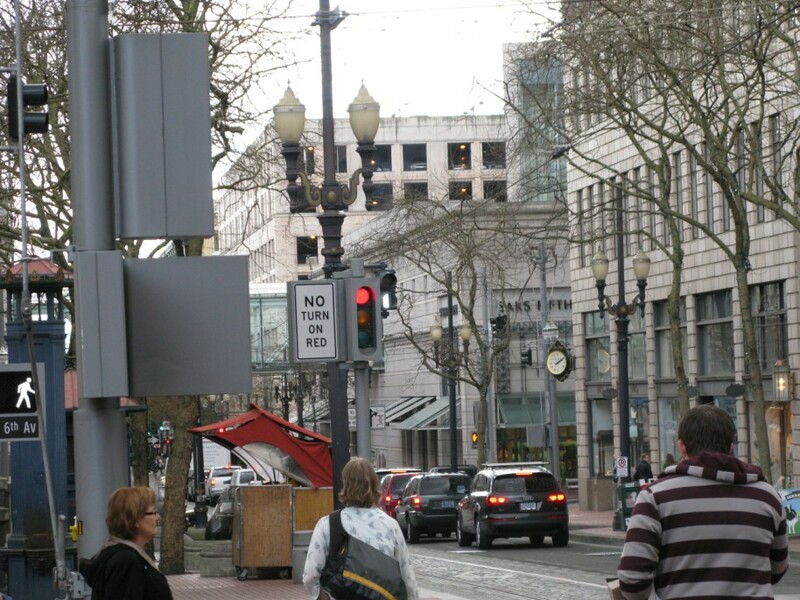 Then on the western side of the bridge is another area for conflicting moves – you may have noticed this eastbound if you are on a train sitting at Old Town/Chinatown or 3rd & Glisan for a while, or westbound if you get stopped on the bridge span at signal 14. Yellows and Greens can make parallel moves on the bridge, and Reds and Blues can make parallel moves, but Yellows and Greens can’t parallel with Reds or Blues. And with a train on the bridge about every 56 minutes of the hour, that’s a lot of opportunities for lost time waiting for a train to finish a conflicting move if the trains are not on schedule. Stop thinking of the trains as isolated vehicles. It *might* have put the driver a fraction of a second behind schedule. It is not that they are cutting off hundreds of extra riders, it is that they are cutting off that last guy who isn’t really late. YES they get their jollies about leaving behind a few and quite often its more than one rider running. But most of the time our transit people here are dicks, and I’m going to bet that driver was too. And yeah, I get having to maintain a schedule, but seriously stopping for someone who is right at the door will not throw them off. – DOOR HOLDERS (“here I’ll just hold the door open for you while you buy your tickets from the machine/walk from a block away/finish your conversation/etc”). Yes, you can get on the PA and ask people to stop holding the doors, but many door holders won’t. 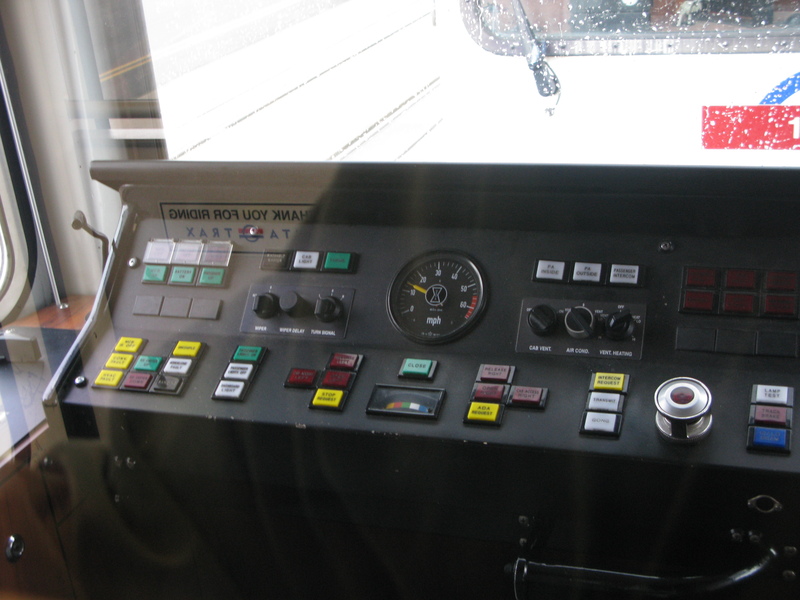 And you can’t just leave the cab easily to deal with it in person – leaving the cab requires getting permission from Control, keying out, exiting the cab, locking the door, walking back to whatever the problem is, dealing with the problem, keeping Control informed of the situation/outcome, walking back to the cab, etc. 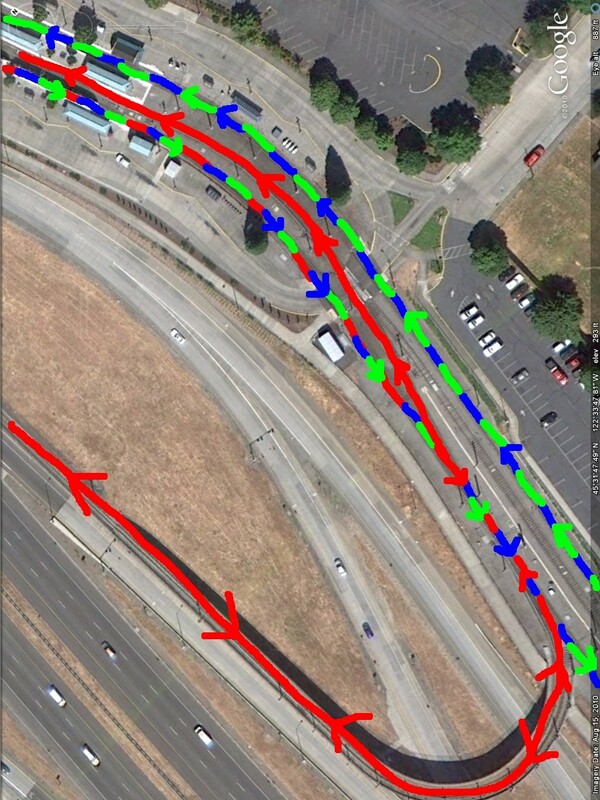 – People who don’t realize they’re leaning against the bridgeplate button and therefore the ramp comes out at every. single. stop. Again, you can get on the PA and ask people to check if they’ve got something leaning against the button, but if it’s in the trailing car and the person doing it is obliviously rocking out on their headphones, they’re not going to hear you. 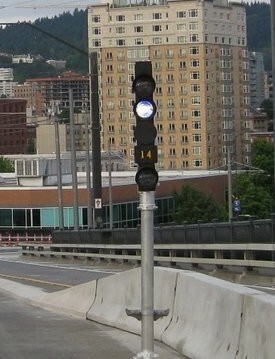 – Workers/walking inspections in the ROW, where in high speed areas you drop your speed to 35mph until you pass them. This is a safety issue and you do not violate it. Please do not be this kind of driver. That train can’t move until the Tahoe gets out of the way. Why the Tahoe driver thought it’s a good idea to be hanging out over railroad tracks like that is anyone’s guess, but this is hardly an isolated incident. 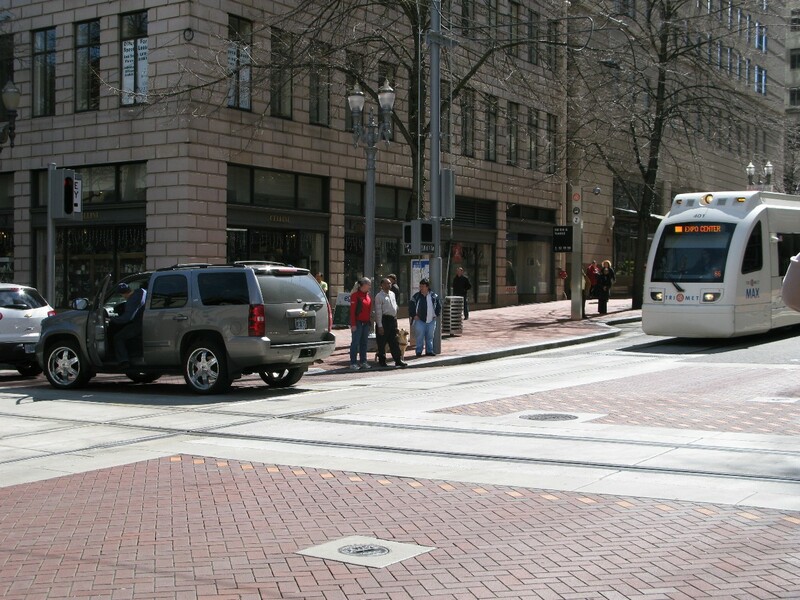 This happens all the time downtown – cars fouling the ROW because they just HAVE to get through the intersection before a train does. Problem is, trains take up more space than just that area between the rails. If the back of your car is hanging over the different color concrete, you’re in the way. All of these things can slow a train by seconds or even minutes, and those delays can really add up from one end of the line to the other, and there’s not much you can do as an operator to control it. But the one thing that an operator *can* control to reduce delays is not reopening doors for late runners. So even if it looks like it might just cost an operator a few seconds to reopen the doors for you, you don’t know what other delays they’re going to be facing (or have already passed) which is why they really can’t afford to wait for you. Oh, and as for why an operator will sometimes make eye contact with you as you run to the train but still not open the doors? Glancing in the direction of movement is an instinctive response for someone who has made driving/vehicle operation their profession! And building on that, if the operator sees you doing something extremely stupid to run for their train (e.g. running in front of an oncoming train in the other direction or running up the ROW toward the train you want), don’t expect your stupid behavior to be rewarded with a ride. You know, I have other drafts in the works, but I keep getting sidetracked by current events. Old picture, but a good one. 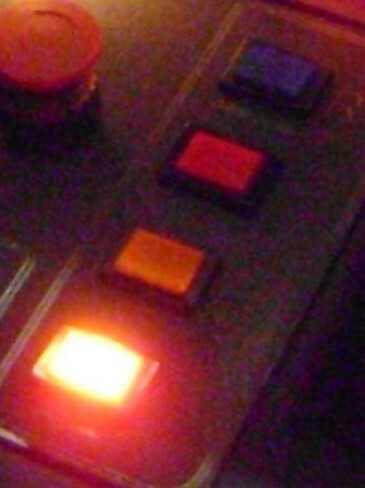 Who knew those little buttons would cause so much strife? 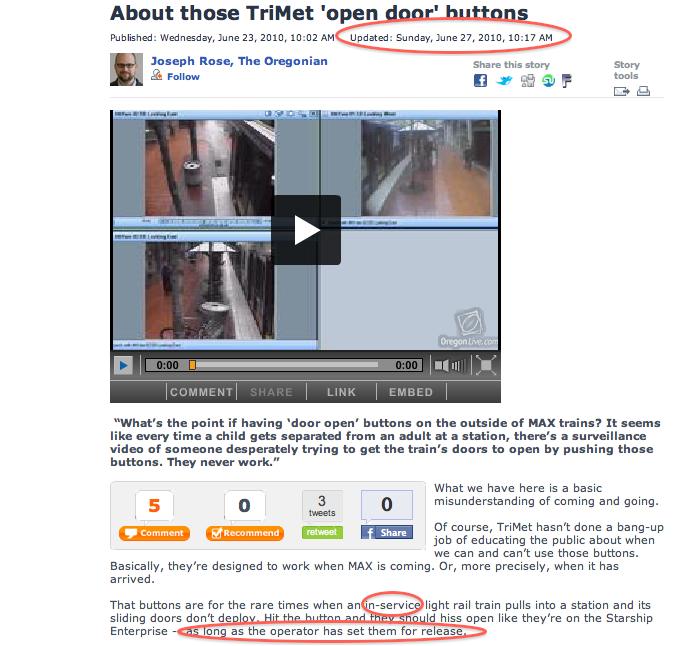 It’s come to my attention that Joseph Rose, writer for the Oregonian, did a piece on the door buttons. * I’ve read it and reread it a couple of times, and… I can’t make heads or tails of it. What we have here is a basic misunderstanding of coming and going. 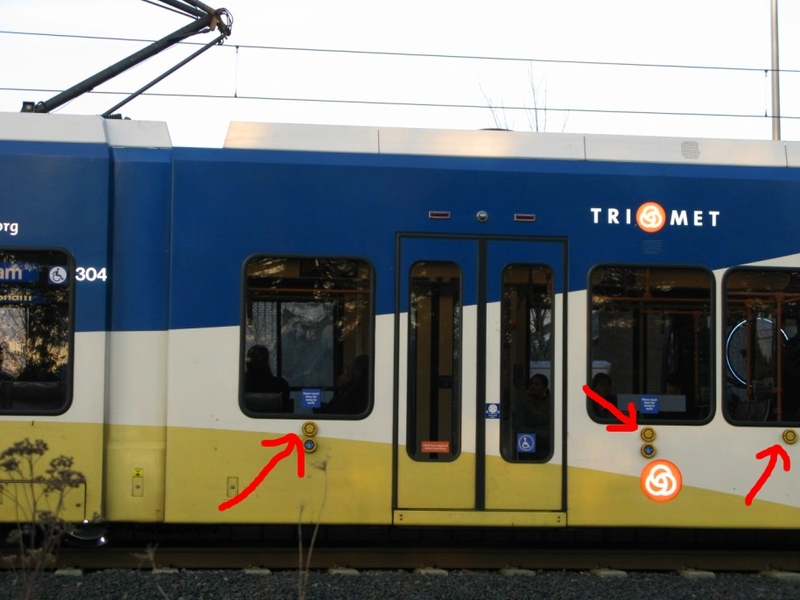 Of course, TriMet hasn’t done a bang-up job of educating the public about when we can and can’t use those buttons. Basically, they’re designed to work when MAX is coming. Or, more precisely, when it has arrived. That buttons [sic] are for the rare times when a light rail train pulls into a station and its sliding doors don’t deploy. Hit the button and they should hiss open like they’re on the Starship Enterprise. I can only assume, given that Rose quotes a conversation with TriMet spokesperson Mary Fetsch later in the article, that he got this information from her. Go ahead, give that a shot the next time you’re at a platform and an out-of-service train stops there. 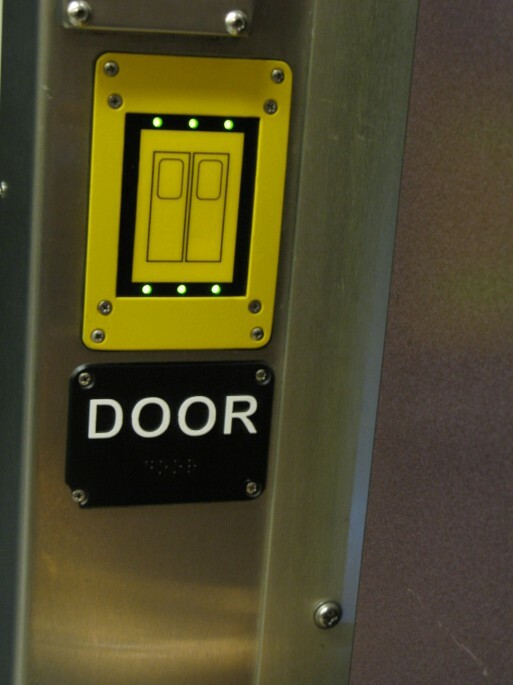 Push the button on the outside of the train and see if the doors hiss open like the Starship Enterprise. Tell Picard and Data I said hi. 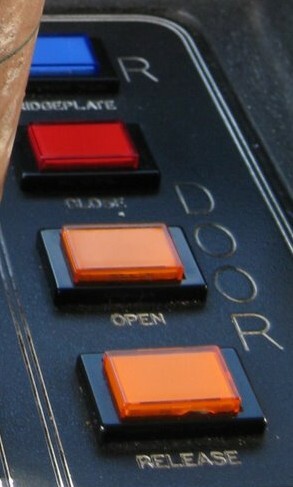 As I’d said before, those buttons only work when the operator puts the doors on release. If they’re not on release, hit the button all you want and the door still won’t open. If you don’t know what “on release” means, go look. Seriously, I got pictures there and everything! I’m trying to help! But since in Portland people are accustomed to the train pulling in and the doors opening, the doors are rarely on release at platform unless the train gets held there for whatever reason. Your friendly neighborhood rail operator will be taking care of all door operations for you. And if s/he doesn’t put the doors on release, the buttons aren’t going to do a thing. So I’m trying to figure out what times Rose is referring to when he says a train rolls into a platform and doesn’t open the doors. If the train is out of service, the operator is going to keep the doors closed, so they won’t be on release. If the operator forgets to hit the door open button (it can happen, though it’s rare), then I really doubt that they would’ve somehow thought to hit the release button. Or maybe they opened the doors on the non-platform side of the train (oops) but that’s still not going to have an effect on the release door buttons on the platform side. So… I don’t know what he’s talking about, but I’m assuming it’s information he got from Mary Fetsch, which was either given incorrectly or misinterpreted before it went to press. The kicker, of course, is that Fetsch is an official representative of TriMet, so her information is supposed to be considered the accurate and approved TriMet response to questions when released by the press, so by that logic I guess what Rose wrote has to be correct. 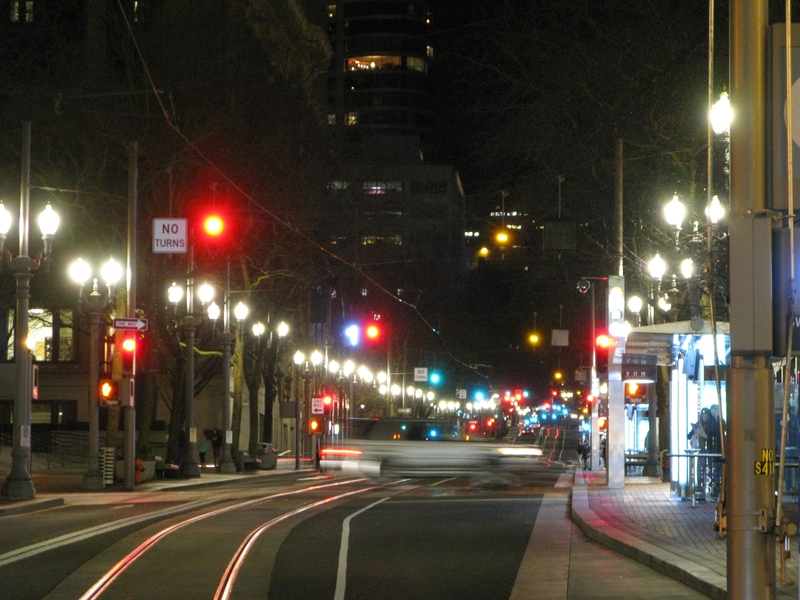 I, on the other hand, cannot/do not represent TriMet or light rail operators/operations. My blog is sort of like the lottery or psychic hotlines – at best it can be considered for entertainment purposes only since I can’t claim anything on here to be official TriMet information. Doesn’t matter that neither Fetsch nor Rose has operated a MAX train, and likely neither one has spent time in the cab of one for anything more than a photo op. If even that. And I guess while we’re at it, let’s address the bolded part of Rose’s column. Here’s a “best practice” for you – if you are traveling on MAX with a small child, hold onto them as you get on and off the train, and mind them while you are on the train. It’s not even just about the risk of being separated from your child by closing train doors – it’s not safe for them to be running around near a train. Period. I promise you the operator really does not want to run your child over, but if a child is small enough to dart away from you when you don’t hold on to them, then they’re small enough to put themselves in danger around a train. Please keep your kids safe around trains and other vehicles! hey look, it’s car 304 again! 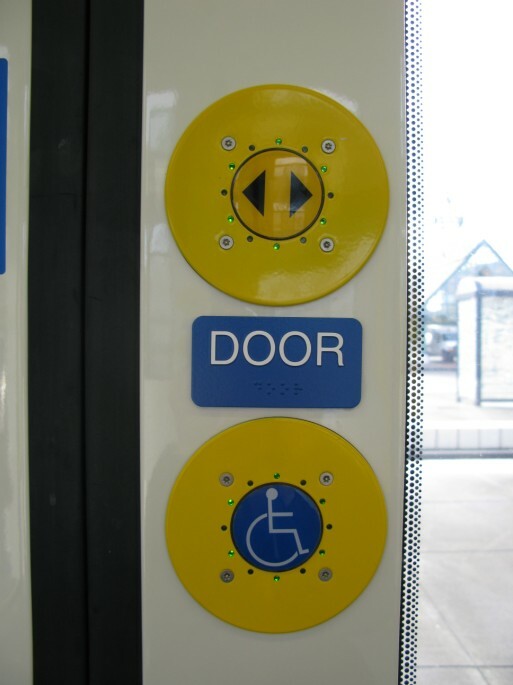 On the left – door buttons for the left side doors on a Type 1. 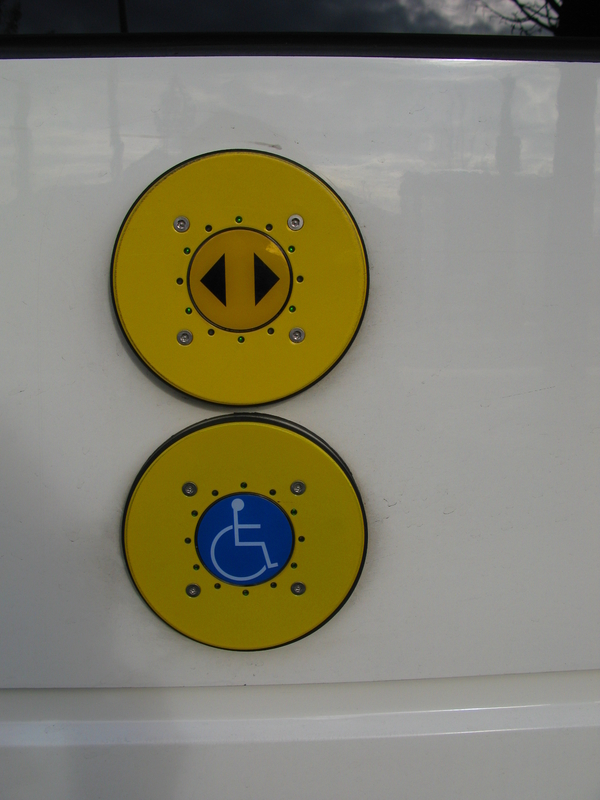 On the right – door buttons for the right-side doors on a Type 4. 1. 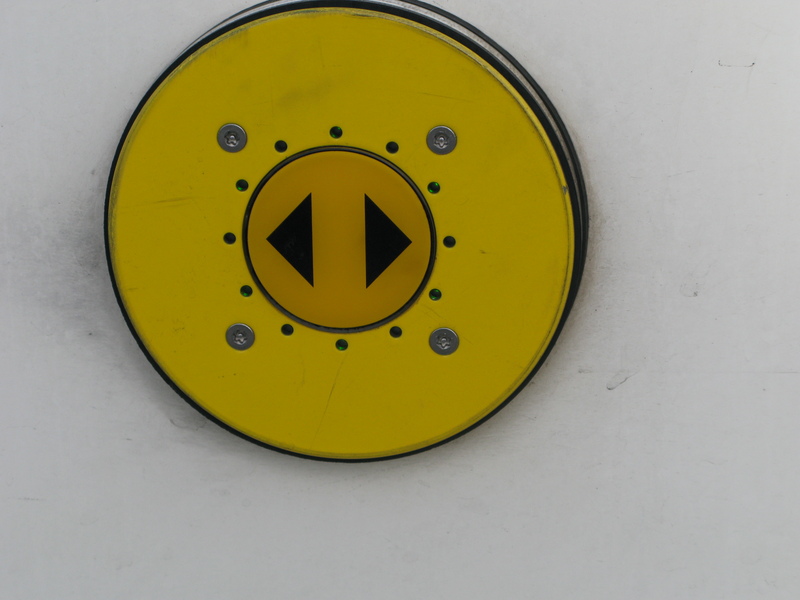 Bridgeplates / Deploy – this blue button will deploy the bridgeplates at the bridgeplate doors on that side of the train. 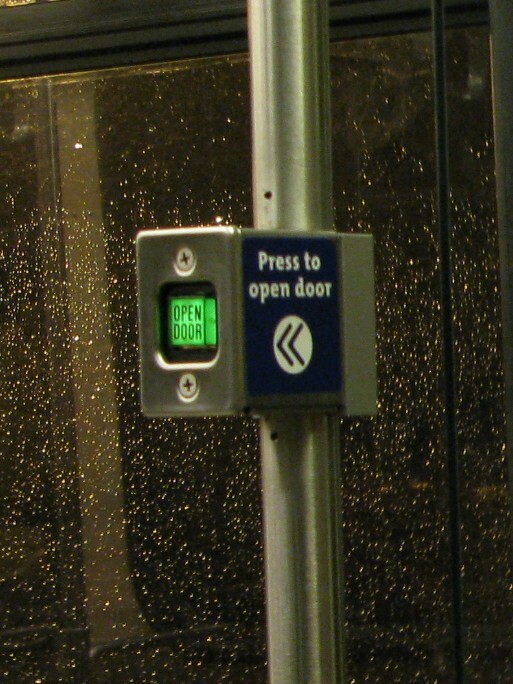 Operators will press this when they come into a platform and see someone with a mobility device waiting to board – it’s faster to deploy the bridgeplates on arrival than it would be to have the passenger press that button themselves. 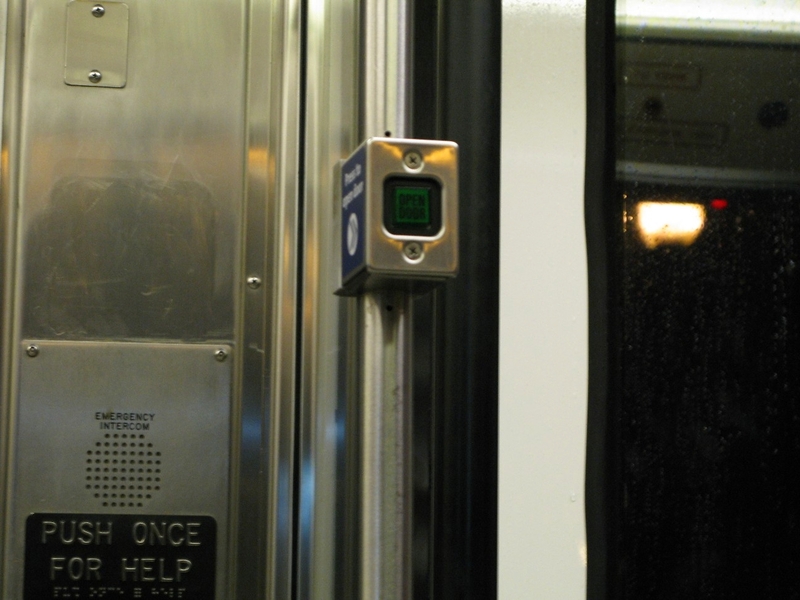 If a passenger already on the train hits the bridgeplate button inside the train while the train is in motion, the bridgeplate at that door will automatically deploy at the next stop. 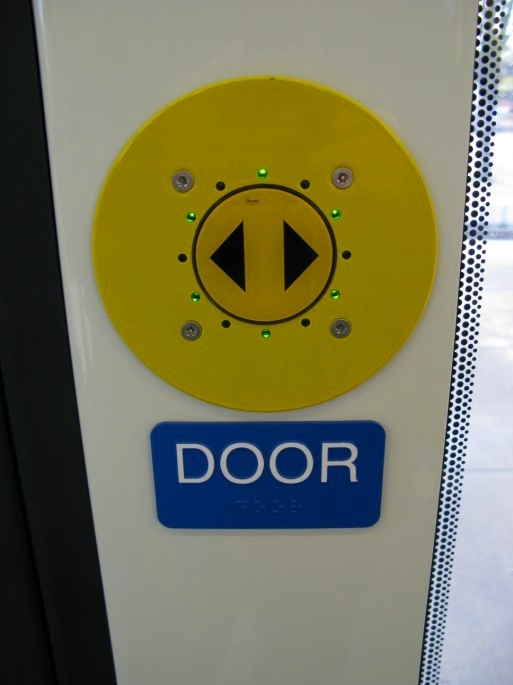 If a passenger hits that button when the train is stopped and the doors are open, it will make that door close and then reopen with the bridgeplate deployed. 4. 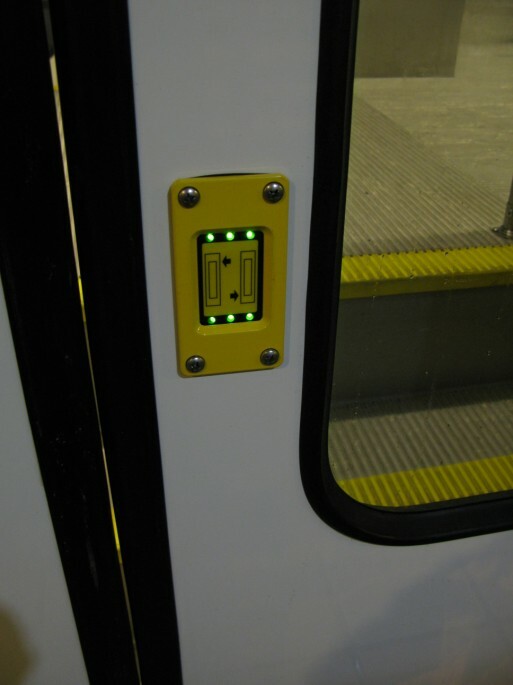 Release – this activates those yellow passenger buttons in question (you can tell when they are activated because they light up) so that when a passenger pushes one, that particular door will open. 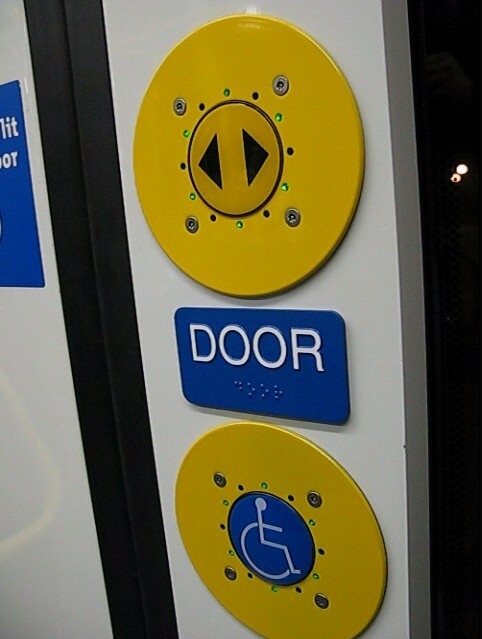 Those yellow door buttons in the passenger area of the train are only going to work when the operator pushes that last button and puts the doors on release. During a normal platform service, the operator will open the doors, watch people board and exit the train, close the doors, and continue on a proper signal without ever turning the doors over to release. 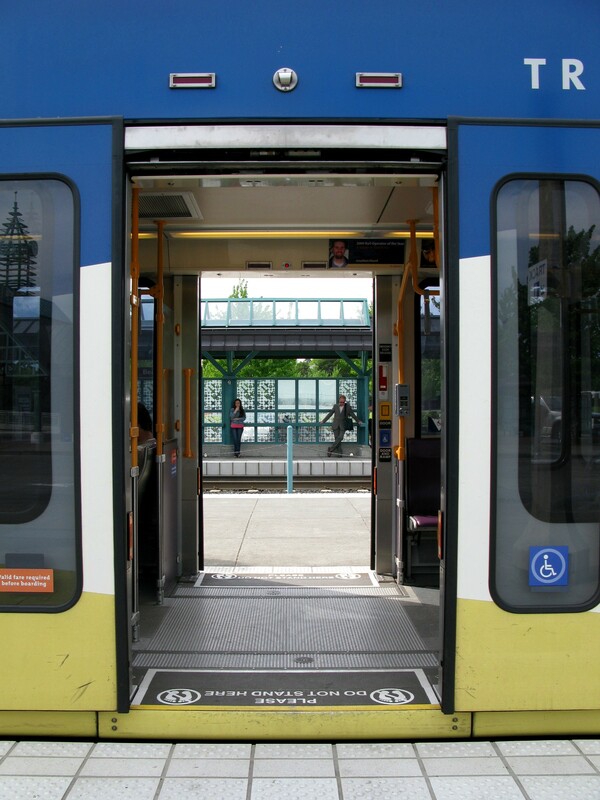 The doors are not put on release during a normal platform stop because the operator takes care of opening and closing the doors, and people expect that the doors are going to be opened at each stop. They don’t expect to have to hit a button to do it themselves. However, if the train is held up at the platform for whatever reason – for example, if they have a train in front of them and can’t proceed yet, the operator will typically put the doors on release after closing them so that passengers can let themselves on or off the train. This is preferable to reopening the doors for two reasons. First, if the weather is bad (too hot, too cold, or rainy) this keeps the climate-controlled air inside the train. Second, if no passengers board or exit the train while the doors are on release, the operator doesn’t have to wait for doors to close before they can take off. 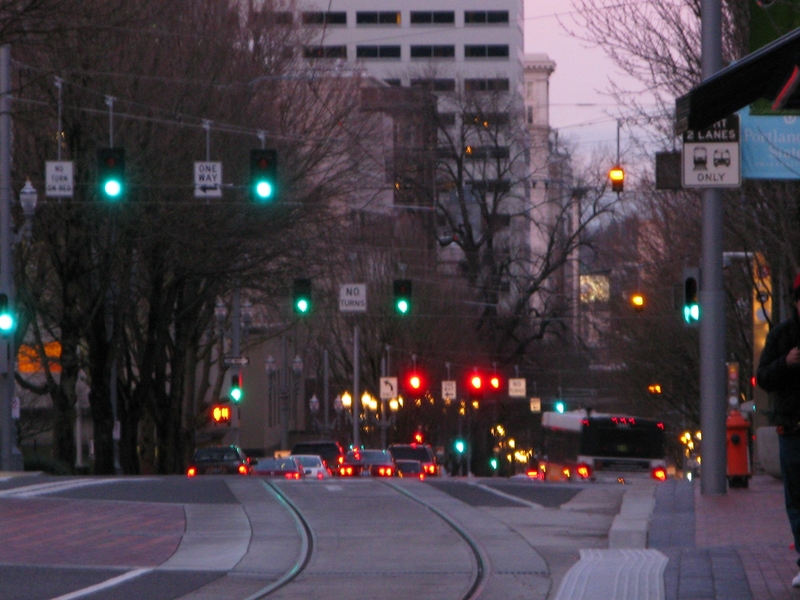 Some platforms where it’s not uncommon for a train to wait and put the doors on release are Galleria / SW 10th (used when a train is held there because a streetcar is passing through) or Goose Hollow westbound (in rush hour, if the trains had been stacked up downtown, trains will often have to wait here for their leader to get far enough ahead so they can proceed), and platforms like Hillsboro Central TC or Gresham Central TC where a train may have to wait for an open track in the terminus. 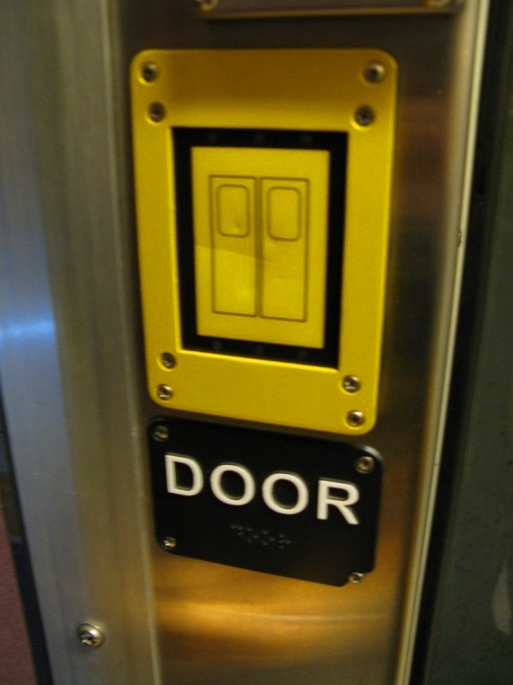 If you’ve ever been on a train and heard “The doors are closing” when the doors already were closed and you’ve been sitting at a platform longer than normal, that’s because the operator had the doors on release, and now hit the door close button so they can proceed. A train cannot move forward if the doors are open or on release – attempting to move forward will automatically close the doors. 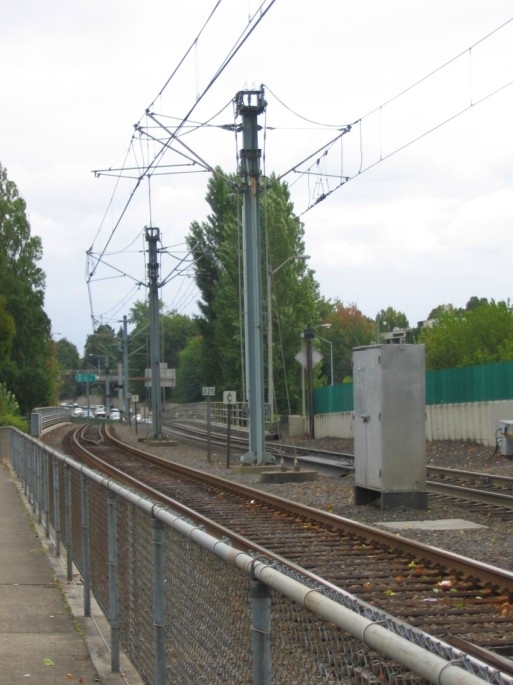 When you think about it, it wouldn’t make sense for the doors to always open when those buttons were hit – what if you accidentally leaned into it as the train was doing a comfortable 55 mph down the Banfield? Not a place you’d want to accidentally fall out of the train, though I’d be hard-pressed to think of any GOOD place to fall out of a train. 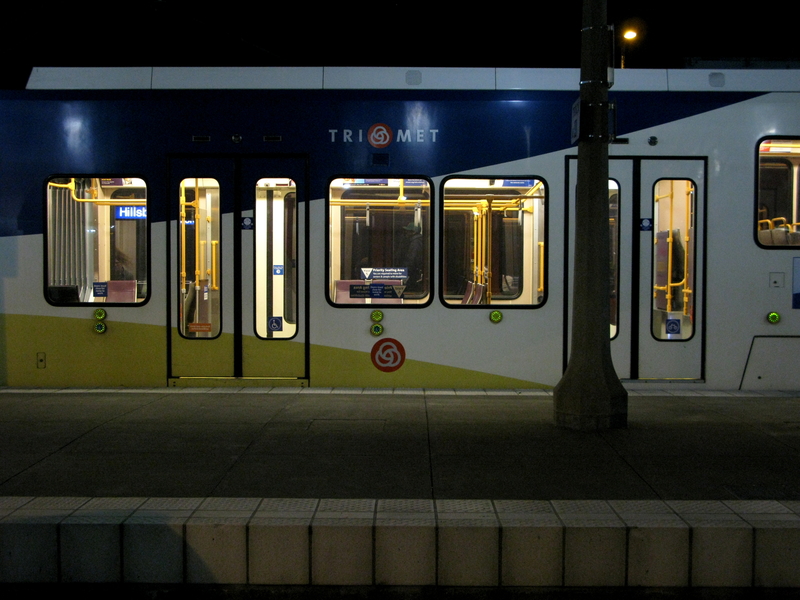 Doors will also be put on release at the ends of the lines (Cleveland Ave, Hatfield Government Center, PDX Airport, Beaverton Transit Center (only for Red Line trains, not Blue Lines passing through), the Expo Center, and Clackamas Town Center) – this is so that the operator can close the train doors and keep in the climate-controlled air, but passengers can let themselves on the train while it’s on the layover. So when you run up to a train at a platform and hit the button because you didn’t make it into the door before it closed, it’s not broken when that button doesn’t reopen the doors. It really is supposed to work like that – the operator watched that everyone who was on the platform got on, and closed the doors when their signal was up and they were ready to leave. If the door is not on release, they didn’t have time to wait for you. Honestly, the best way to get on a train before the operator closes the doors is to be at the platform before the train is. I know that is not always feasible (especially if you’re trying to make a connection from a bus or even another train) but a normal platform service will have the doors open long enough that everyone on the platform who wants to get on can do so, and everyone on the train who wants to get off can do so. The operators aren’t closing the doors and leaving to spite you as you come running from half a block away. At most platforms, operators time calling their signal around how long it takes to service the platform, so once they close their doors they need to get going or their signal times out and they have to sit there to wait for it again. At some platforms, that’s a loss of 4 or 5 minutes if they were to reopen the door for a late runner, so it’s not reasonable for them to wait for you – the delay would be a lot longer than just a few seconds to reopen the doors. And yes, at some platforms, there’s more leeway and an operator (if he or she has the time to do so) can wait for someone if they see them running, but don’t count on that happening with every operator or every platform. Buses have a lot more flexibility for people running late – they can more easily wait for you or even stop (where it’s safe!) away from a stop to let someone on. A bus waiting for a late runner doesn’t have as severe an impact on their schedule and the schedule of the buses behind them as a train would. 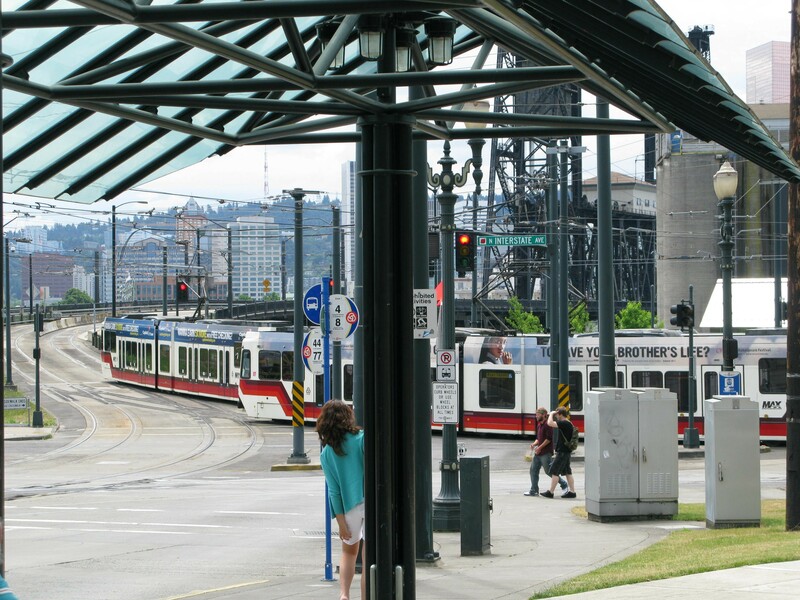 One train running late will make several trains behind it late, which has even bigger impacts around areas where train lines cross, such as the Steel Bridge/Rose Quarter area or Gateway. Trains don’t wait for people, people wait for trains. 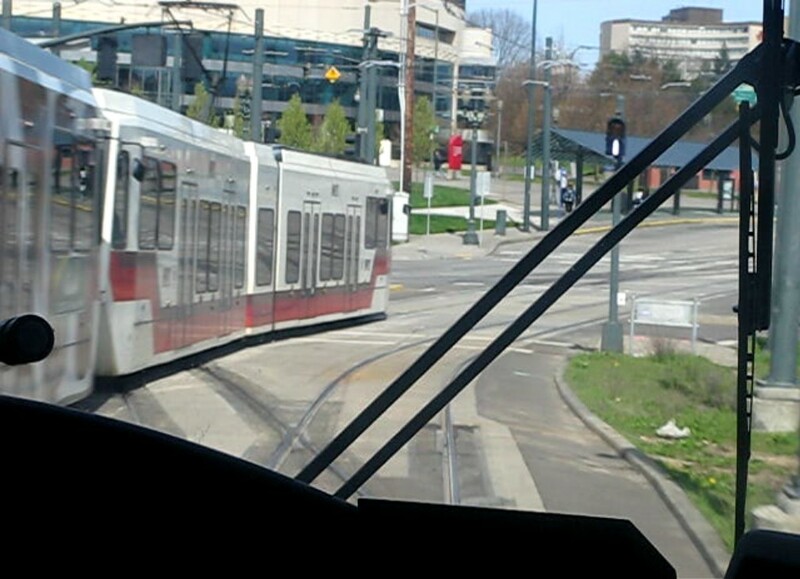 This is a cab pic I took of a TRAX train in Salt Lake City, Utah. 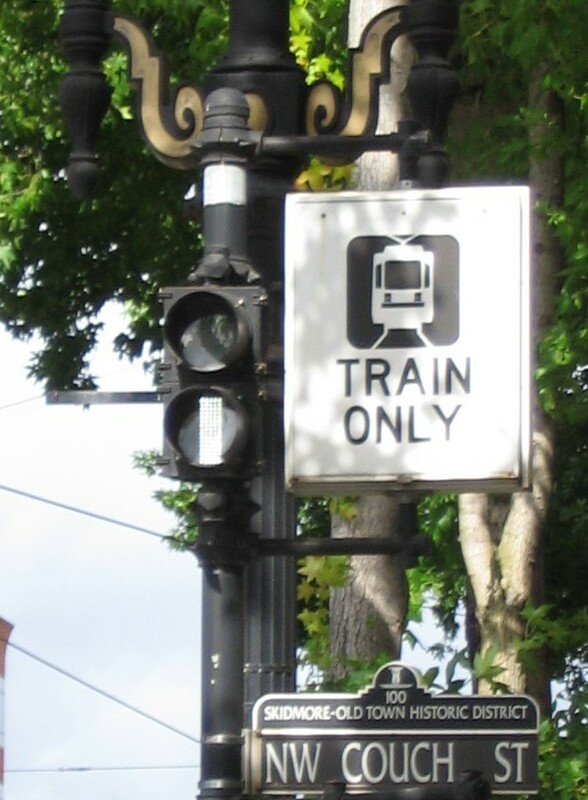 Their train operation is slightly different from TriMet’s – a train will pull into a platform and the operator will put the doors on release but not open them. If you want to get off or on, you have to push the door button to do it. Then the operator will close the doors and continue on to the next platform. MAX used to run with a similar practice, but for a while now operators have been taking care of all door opening and closing for their passengers.